Dogs just want to have fun! While ​serious training is important for all dogs, playtime is just as important. You can incorporate games into training as well. However, sometimes, it should be just about the fun. Some of these games are great for indoor playtime. Many are wonderful activities for kids and dogs to share. You can also use these games to help teach your dog how to play. Note: It's helpful for your dog to know some basic commands before playing these games. Here are five games for your dog. Let loose and play! Hide and seek isn't just for kids. Dogs can really enjoy this game. Grab one of your dog's favorite toys, chews or treats. Tell your dog to stay. Then, go find a good hiding place. When you are ready, call your dog to come to you. If possible, squeak the toy or shake the treats. Reward your dog with praise and the toy/treat when she finds you. Dogs tend to really enjoy a good game of tug-of-war. It gives them an outlet for their energy and natural predatory instinct. It also wears them out a little! To safely play tug-of-war, make sure your dog knows a release command. Then, find a good sturdy tug toy and tug away! Dogs have superior senses of small, and most love to use their noses to find food. Let your dog use her brain and her nose to find hidden goodies. First, have your dog stay out of sight (or put her in another room or a crate). Then, hide her favorite treats in various places around the room. Bring your dog back in and tell her to "go find!" If help is needed, you can lead her around with a leash or point to areas for her to explore. Is your dog high-energy? Super-smart but a "troublemaker?" Maybe she just needs a hobby. If routine exercise and regular games are not enough to satisfy your dog's needs, then dog sports might do the trick. Getting involves in a dog sport is a great way to engage your dog in play on a regular basis. Explore the many different types of dogs sports out there and find out which ones may suit your dog. Remember to watch your dog for signs of exhaustion or overheating when you are playing. Stop if your dog seems tired, frustrated or shows signs of agitation or anxiety. Also be aware of your surroundings when playing with your dog. 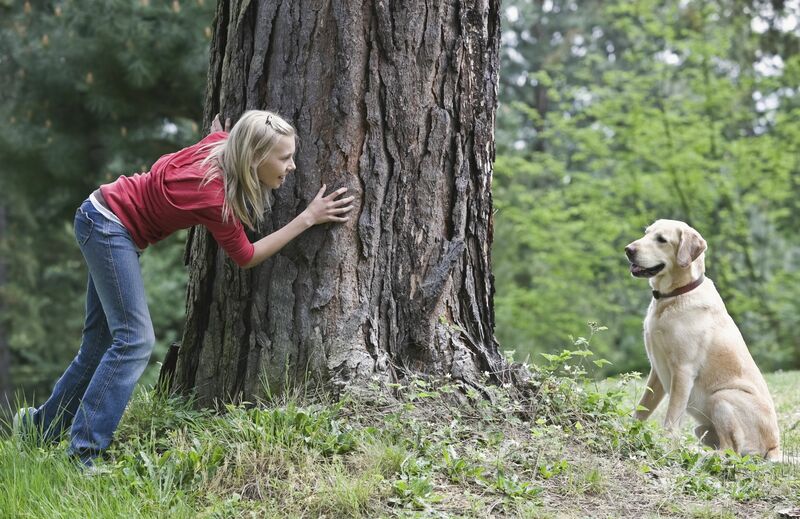 When other dogs or people are around, it may create a dangerous distraction, especially if your dog is off-leash. Have fun, but be safe!